Our Christmas show features the best in progressive & alternative comedy–right in the heart of Manchester’s Gay Village. Will Duggan–as featured in the Foster Award winning Funz & Gamez. 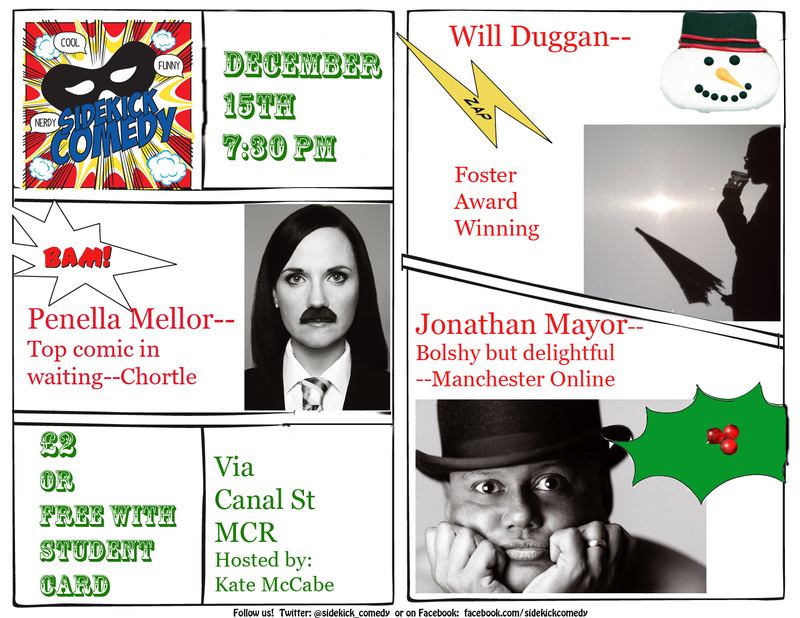 This entry was tagged Christmas, Comedy, Comedy in Manchester, Jonathan Mayor, Kate McCabe, Penella Mellor, The Gay Village, Will Duggan. Bookmark the permalink.